A great tasting cough syrup supporting relief of coughs and respiratory congestion. Suitable for children from 2 years of age. 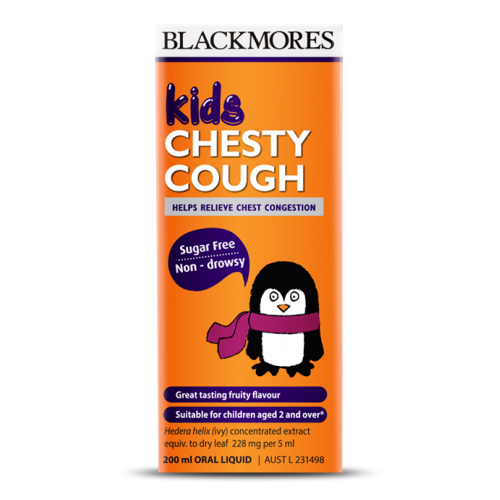 Blackmores Kids Chesty Cough is a great tasting sugar free cough syrup based on an extract of ivy leaf that may provide soothing relief of coughs and respiratory congestion and help to loosen chest mucus. It is suitable for children aged 2 and over and does not contain ingredients likely to cause drowsiness. No added artificial colours or flavours.